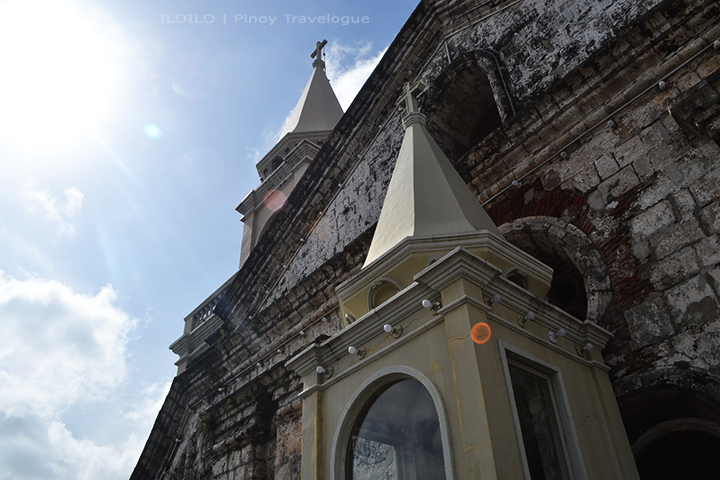 I was back in Iloilo at around 3:00 PM after a two-day Guimaras island getaway. From that moment, I had less than a day before my flight back to Manila the next afternoon; few hours in hand to experience a bit of what the City of Love has to offer. I could not just retire into the hotel room while the sun's still at its peak. 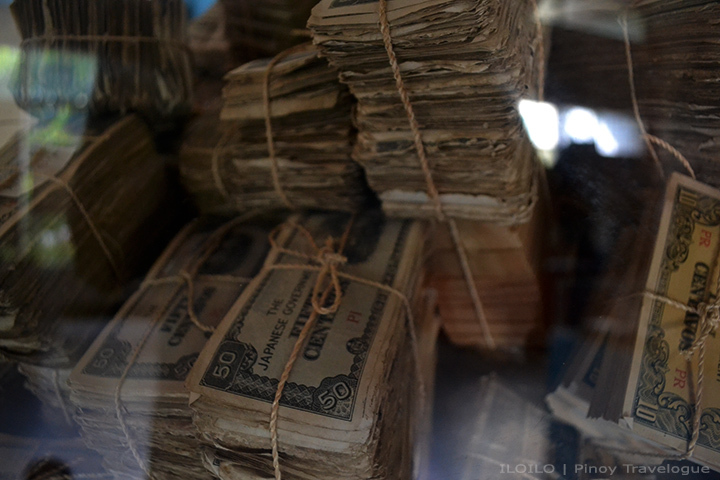 To while away the hours of the searing afternoon, I hopped on a Jaro-CPU route jeepney to check some pieces of history. 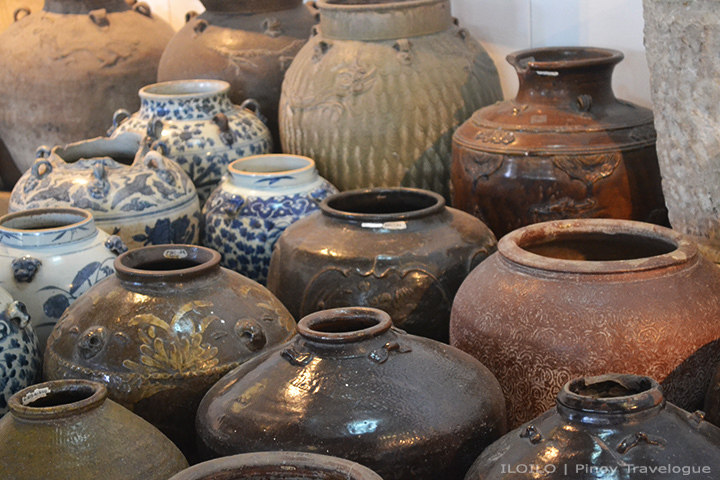 Dwarfed by the adjacent Iloilo capitol edifice, Museo Iloilo's small expanse abound with artifacts retrieved from the entire Panay Island. 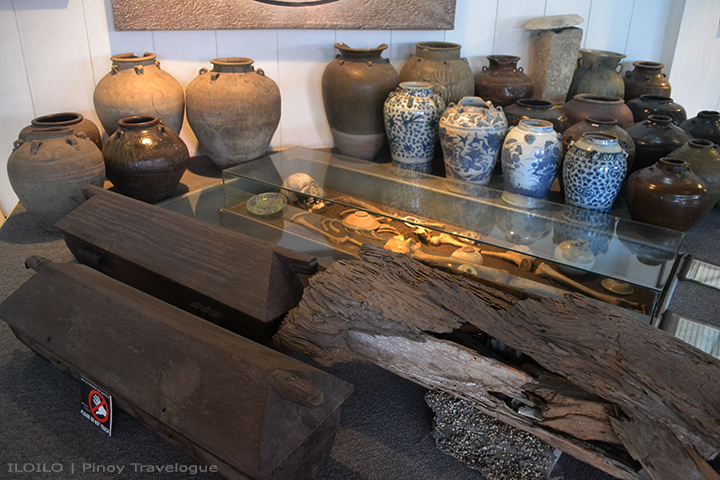 It houses prehistoric burial relics, Asian tradewares, weapons and armories used during Spanish era and World War II, mementos of Ilonggo heroes, and a handful of moldy religious images — antiquities that excite history geeks. 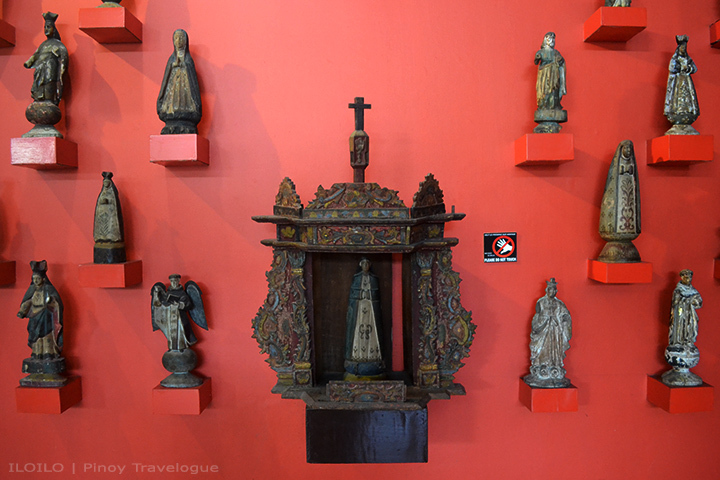 Hanging on walls of the provincial museums are narratives that walk sightseers through Iloilo's momentous events in the past. Apart from historical keepsakes, there were contemporary works of art, too. A limited time exhibit of stained wooden figures displays Timoteo Jumayao's artisanship. 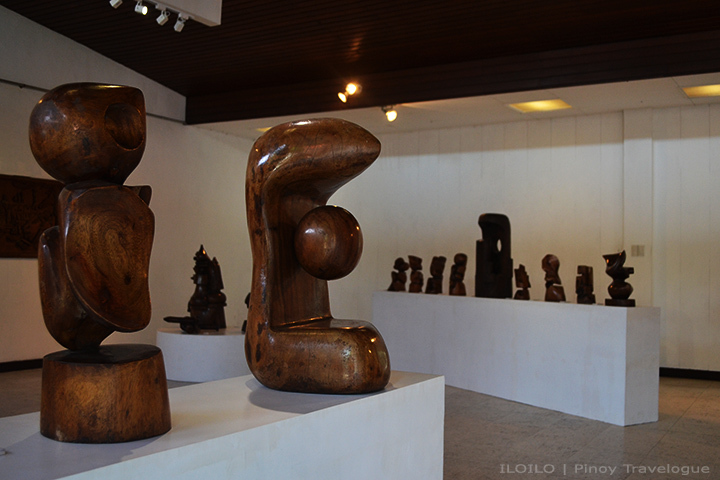 A pride of Iloilo, the late sculptor hails from Pavia and recounted as one of the first curators of Museo Iloilo. 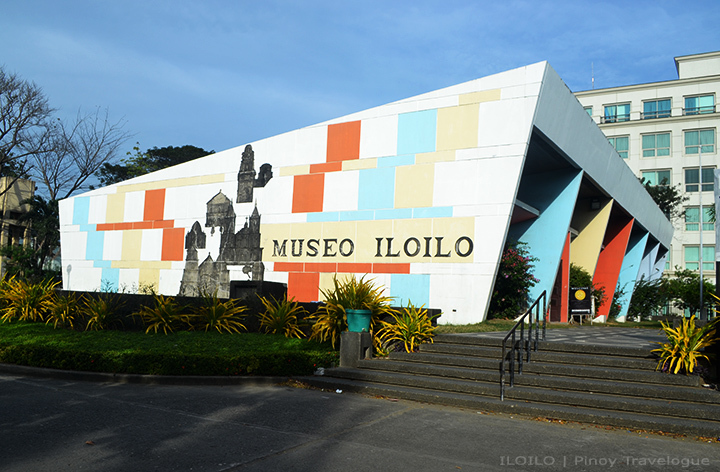 With its exterior wall that's painted with different hues in puzzle-like patterns, images of Iloilo's famous churches engraved on it, and the modest building itself that presents a perceivable architecture, Museo Iloilo fascinates from inside and out. I went back to the hotel to prepare for dinner with my wife's kin who hail from Jaro district. One of her uncles also traveled over for around 3 hours from Capiz to see us, bringing in "tons" of crab, prawn, oyster and bangus (milkfish) that were freshly caught from the waters of the country's seafood capital. It's been a feast; a hypertensive one! The night was young. There were still a lot of catching up to do. I could not think of a greater means to share stories with pals you haven't talk to in a while and relatives you haven't seen for decades than talk things over a bottle buckets of beer! 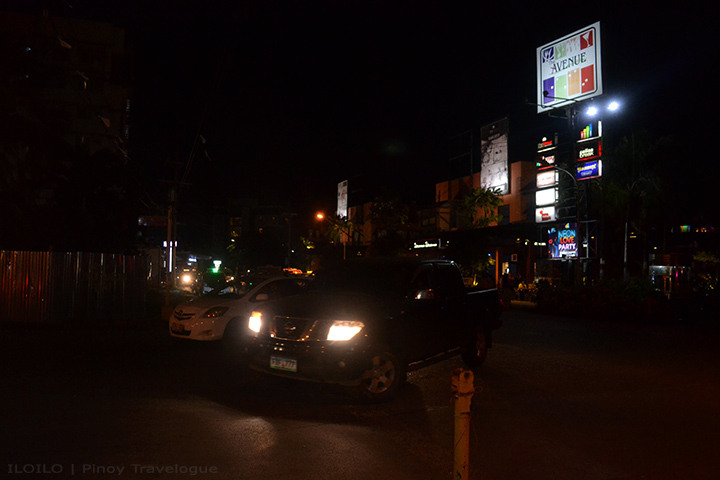 So at the rear of her cousin's pick-up truck we embarked, off to Iloilo City's "nightlife capital". 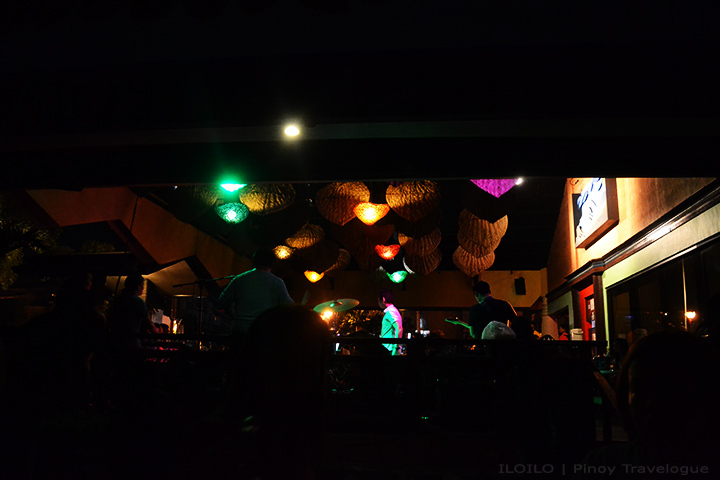 We pulled over at MO2 Resto-bar, one of seemingly countless pubs to booze at and an apparent favorite. Mandurriao district's Smallville Complex comprises an array of commercial and leisure establishments from cheap and upscale dining, beer and wine bars, KTV rooms, dance clubs, to budget and boutique hotels. It was a nightlife seeker's haven! Hush fell after we left Smallville at around 1:00 AM. 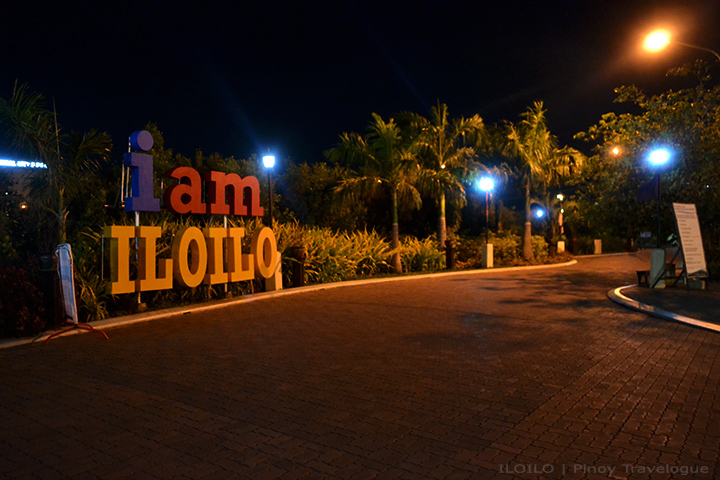 Before our hotel, we dropped by a spot near the iconic "i am ILOILO" standee. Iloilo City's esplanade runs along with a portion of the Iloilo River. 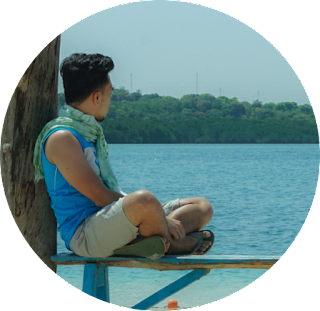 It serves the same purpose as Dumaguete City's Rizal Boulevard where locals spend time for an early morning jog or a lazy stroll, late afternoon sunset gaze, or dining out with buddies at nearby restaurants after dark. It's an hour past midnight. 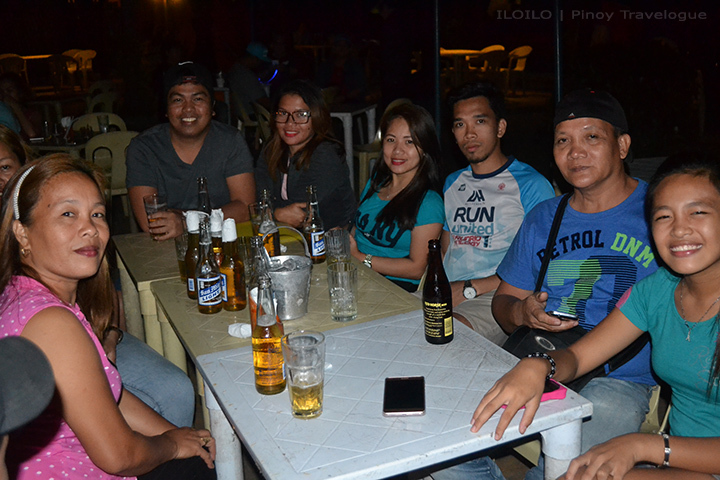 No one's around and we already had enough alcohol fix so we just sneaked in, took some snaps and off we went. It's been a day. 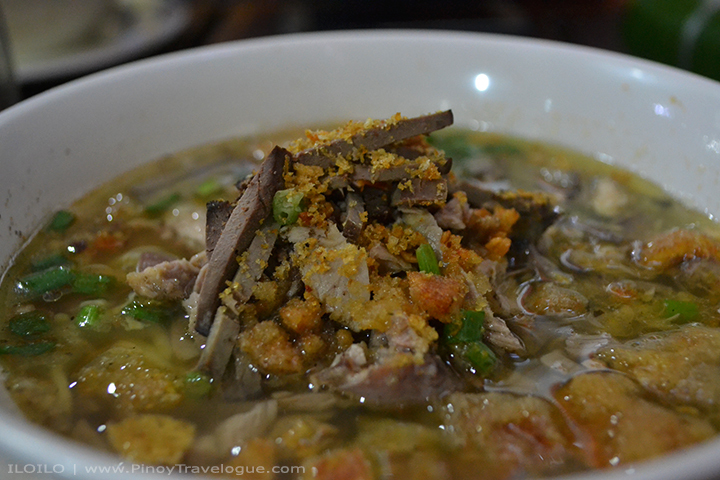 Locals say, Iloilo experience lacks something if you pass up relishing a bowl of La Paz Batchoy. With that in mind, I kickstarted my last day at the city with Netong's authentic noodle soup, served at the heart of La Paz district's local market. 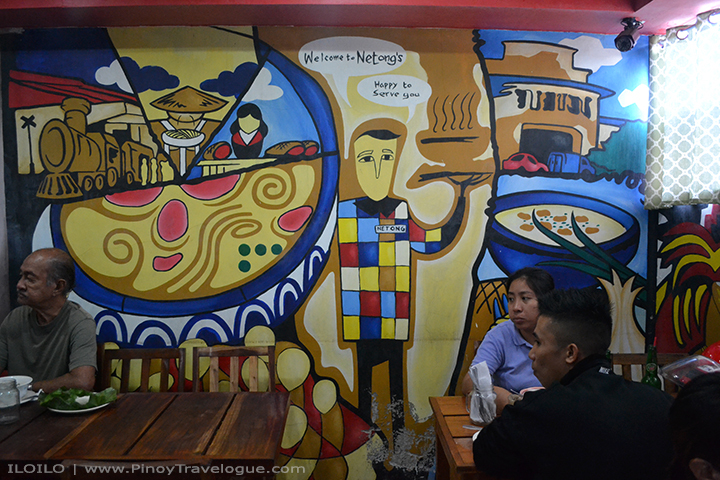 It's no less than a perfect morning when having a steamy batchoy at the city where the dish has its roots, while dining with Ilonggos whose authenticity, they say, is measured through the dish itself. You're a real Ilonggo if you can finish two large bowls of La Paz batchoy in just one sitting. That was tough; at least for a Rizaleño on a diet. While I'm already at the same marketplace, I found no reason not to check out its narrow paths for the age-old coffee shop that locals and city visitors embrace as part of their day. 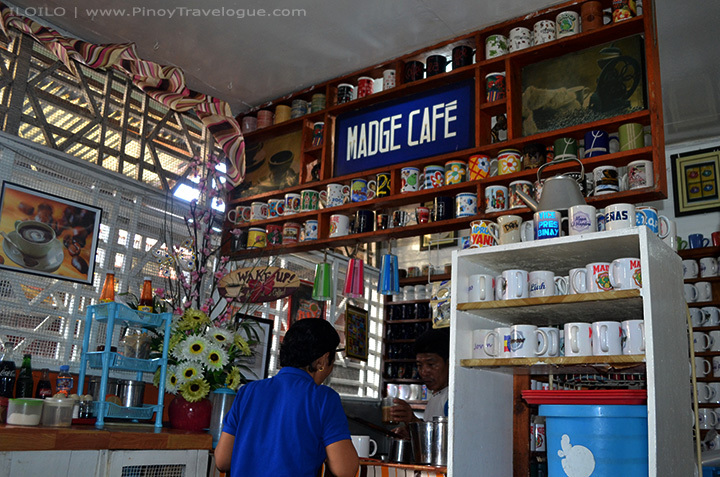 I'm not a coffee lover but I would not skip having an infusion of Madge Cafe's native coffee brew that's mastered for more than 70 years now. 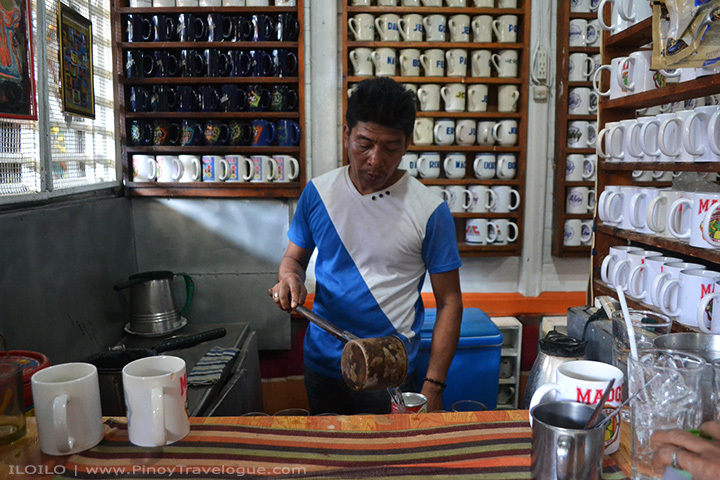 The humble coffee shop amidst the bustling bazaar boasts off its decades-long reputation that had landed several publications and TV show features through the years; not to mention the intended visits of prominent personalities when they come to Iloilo. 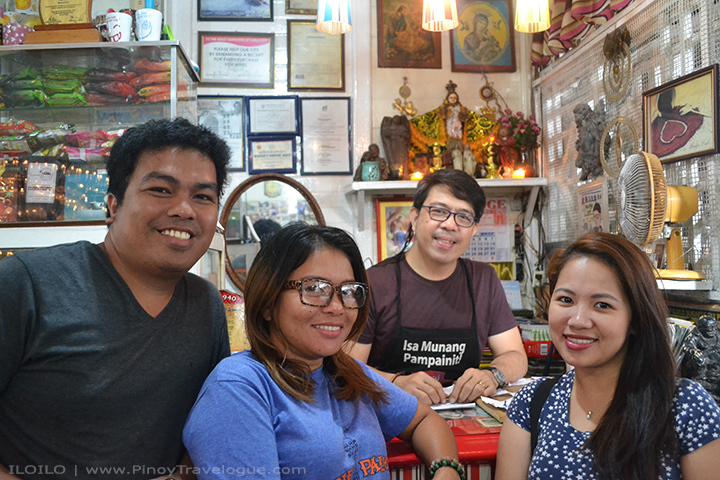 Iloilo City's oldest café is more than just its brew and grateful crew. Madge Cafe is a tradition. I found it ideal to visit the cathedral of Jaro the last hour before I had to prepare for my flight back home. From La Paz market, it only requires less than ten minutes of jeepney ride. Situated just across the cathedral, I alighted at Jaro Plaza that in plain sight serves as venue for Jaro district's town affairs. There were traces of perya; a local, transient carnival usually put up weeks before a town fiesta and packs up after the celebrated day. Amusement rides were apparently put down just recently and it has left a significant amount of trash. 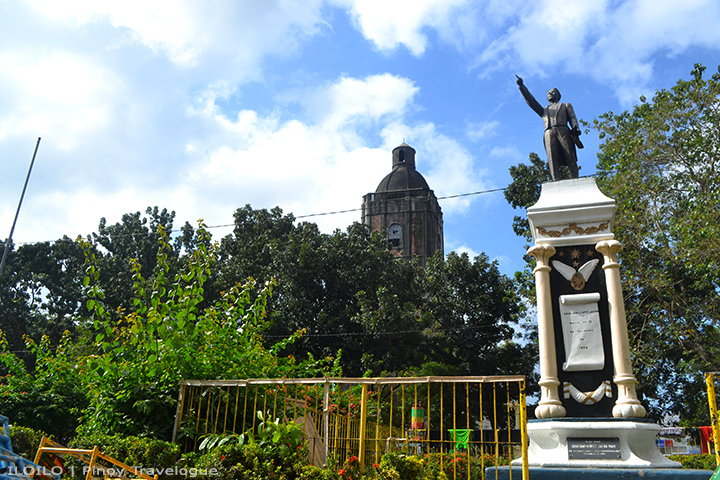 The plaza is formally known as Graciano Lopez Jaena Park, named after the Iloilo-born patriot, one of notable figures of Philippine history, and a name every studious Filipino grew up with (lest they forget those Sibika at Kultura days). Jaro Plaza may have been age-old and historical, but it was not as imposing as the history it could tell. The vicinity looks far from being taken care of. 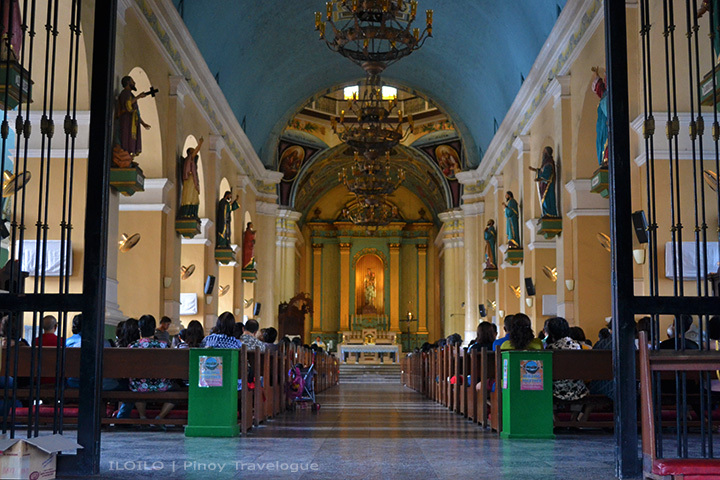 Apart from Jaro Cathedral's year of construction and date of earthquake destruction in late 1940's, the historical marker plastered on its façade highlights Lopez-Jaena's baptism that took place in 1856. Church was built in 1874, eighteen years after the Ilonggo hero's christening happened — historical account that put me in confusion. How did the baptism transpired in a church that haven't been established yet? Attached to the cathedral's main flank are stairs leading to a balcony where the Our Lady of Candles was enshrined inside a glass-paneled case. Inside the high-ceilinged house of worship, life-size images of male Catholic saints "guard" the church's towering pillars while the lone image of a woman saint stands at the altar. 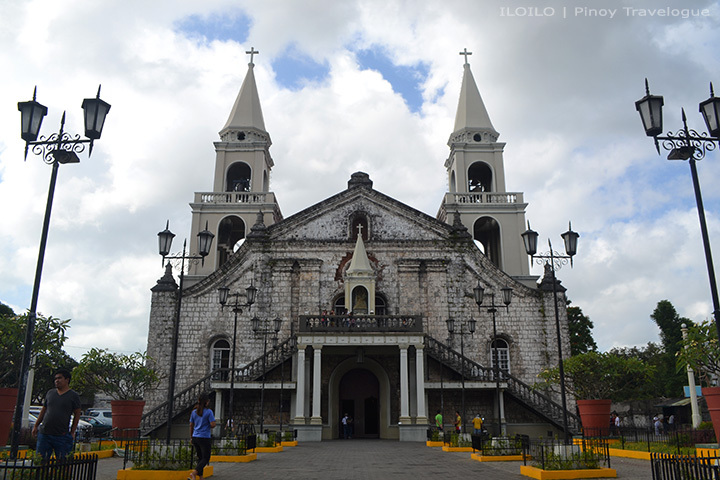 St. John Paul II, arguably one of the most admired Catholic popes, once celebrated mass at Jaro Cathedral during his visit in the Philippines in February 1987. It was considered as the most noteworthy event in the church's history. Jaro Cathedral's belfry towers across a street unlike most of colonial-era churches in the country where bell towers stand adjacent their church counterparts. 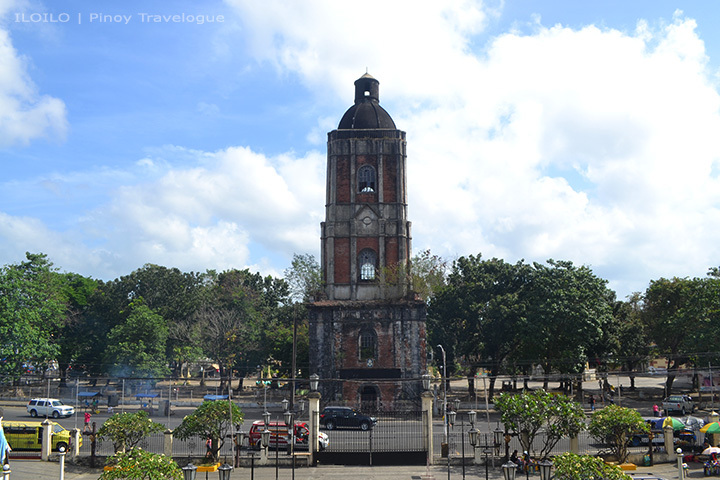 Like Jaro Plaza where it stands, the dilapidated belfry seems lacking in due maintenance; but unlike the public park, the bell tower charms in its ruined state. While I'm in it, I involuntarily took the chance to express how thankful I was, and asked for another safe journey back to my hometown. 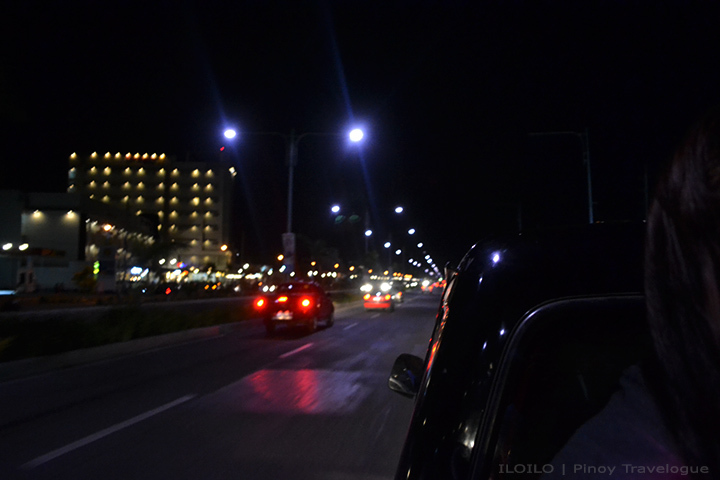 Iloilo has been friendly to me though I only had a glimpse her beauty. 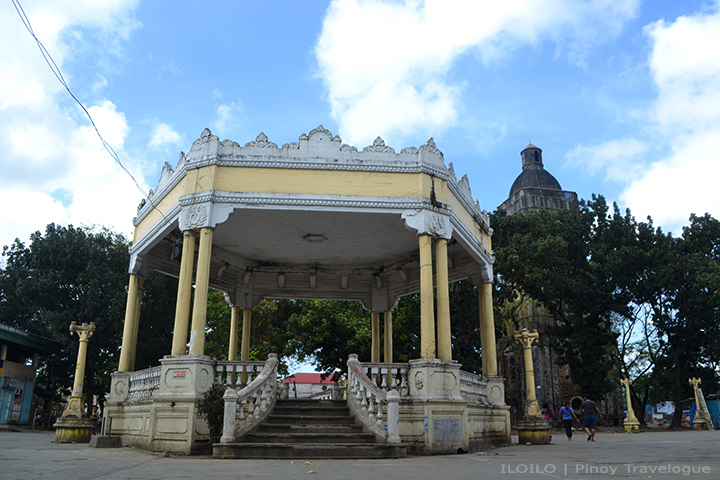 Dubbed as the City of Love, Iloilo is IloiLOVELY. Should I go back? Definitely. 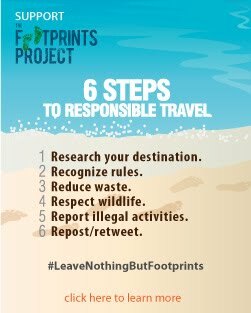 Shameless plug: Here are some travel tips if you're visiting Guimaras soon; why not if it's just a stone's throw away from Iloilo City?